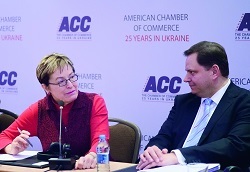 The American Chamber of Commerce in Ukraine was delighted to welcome Congresswoman Marcy Kaptur, who represents Ohio’s Ninth Congressional District and is currently serving her seventeenth term in the U.S. House of Representatives. Congresswoman Kaptur is a co-founder and co-chair of the Congressional Ukraine Caucus and the longest-serving woman from the State of Ohio in history. 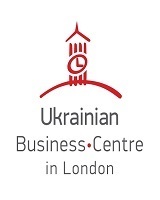 Being passionate about Ukraine and having a great desire to empower Ukrainian women farmers, Congresswoman Marcy Kaptur presented her project, entitled Seeds of Hope, during the roundtable discussion on market needs for locally grown products with the Chamber business community. Seeds of Hope is aimed at shining a light on Ukrainian women, particularly rural women who produce most food that is consumed domestically. “I know the power of these women...they feed this country and I want them to have a chance to promote their products to international markets”, said the Congresswoman. During the joint reception with the U.S.-Ukraine Business Council, the president of the American Chamber of Commerce in Ukraine, Andy Hunder, presented an award to Marcy Kaptur “For Continuous Commitment to Support Ukraine” on behalf of the Ukrainian business community and expressed gratitude for all the support she has provided to the Ukrainian economy and its people.